Disgraced AG’s legal proceeding glacially creeps forward. In 2010, a senior attorney at the Utah attorney general's office sent a prescient email to another ranking member warning of an inexorable office trainwreck. The contents therein revolved around then-Attorney General Mark Shurtleff's dealings with Tim Lawson. 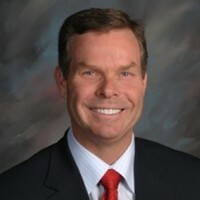 Author of the email, Kirk Torgensen, had grown wary of Lawson, hearing through the grapevine that the latter had declared ties to the AG's office in order to shake down wealthy victims. Characterized as Shurtleff's confidante, Lawson, who is now dead, has also been called a fixer, a best friend, a go-between, a consultant and Shurtleff's version of Orrin Porter Rockwell—the rough-around-the-edges bodyguard for Mormon founder Joseph Smith. Lawson, in other words, had an intimate yet unofficial bond with the former AG. And perhaps, Torgensen suspected, a detrimental one. More than six years after that correspondence, ex-attorney general Swallow, who succeeded Shurtleff, has landed in court facing a heap of felony corruption charges. Prosecutors say he is one point in a disgraced trio, completed by Shurtleff and Lawson. 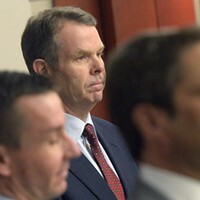 Looking down from the witness stand on Friday, former 22-year veteran deputy attorney general Torgensen said he confronted Shurtleff over what appeared to be Lawson's meddling in a criminal fraud case targeting Marc Jenson. 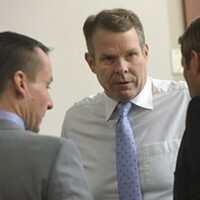 Though not a lawyer, Lawson was involved in hammering out a plea deal with Jenson's attorneys. “All I would like you to do bro is review this,” Lawson had written to Shurtleff in an email with an attached plea offer for Jenson. Torgensen testified that Shurtleff, as the head of the office, was uncharacteristically involvement in Jenson’s criminal case. To such a degree, in fact, that the original prosecutor, Charlene Barlow said she could no longer in good faith continue on it. “He started to weigh in on the case and tell us what outcome he wanted to see the case take,” Torgensen said. Steeped in legal trouble, Jenson said he was communicating with—and cutting checks to—Lawson with the understanding it would lead to a favorable resolution. Indeed, it did. The AG's office proffered a plea-in-abeyance deal that would allow Jenson to go scot-free if he behaved for three or so years and paid a modest fine. The victims of Jenson’s fraud, however, weren't so cheery. They protested that Jenson owed them $4.1 million in restitution that wasn't included in the deal, and the judge refused to sign off. Jenson said Shurtleff prodded him to sign a new deal but not to worry much about the restitution requirement. Feeling beaten down and eager to escape Utah's hostility, shortly after the plea was signed, Jenson relocated to Pelican Hill, a deluxe resort community in southern California. In the spring of 2009, Shurtleff, Swallow, Lawson and others convened at a villa in Pelican Hill. When Torgensen learned of the trip, he was beside himself. “Frankly, to this day, I can’t fathom why it happened,” he said. Torgensen also thought a meeting at a fancy resort between a prosecutor and defendant—without the defendant’s lawyers—should have raised flags for Swallow, who worked as Shurtleff's campaign finance manager. Swallow’s defense rebutted that their client was a private attorney at the time, and thus not facing a conflict of interest. Torgensen admitted on the stand that his ethical concerns were overwhelmingly about Shurtleff’s behavior. On a plane ride home from Pelican Hill, real estate dealer and one time-Bahama island broker Paul Benson found himself seated next to Swallow. The two made small talk, discussed the Book of Mormon, and such. Swallow also told Benson, according to Benson’s testimony, that he was lined up to be the next attorney general. The state's case relies, in part, on testimony such as Benson's to determine whether Swallow tried to preemptively orchestrate pay-to-play tactics while he was preparing to take over for Shurtleff. Torgensen confided in Swallow that Lawson, along with St. George businessman and now convicted felon Jeremy Johnson—who had caught the eye of federal investigators—were men with whom Shurtleff should avoid associating. Torgensen echoed similar concern to the governor's office, he said. Swallow, a friend of Johnson’s, allegedly disagreed he was a toxic figure. Paul Nelson, a life-long friend of Jenson’s, was called to the stand Friday. He told the court he was employed by Jenson at the time the Jenson was charged with felonies in 2005. Believing his friend to be innocent, Nelson aimed to talk to Shurtleff and clear the air. Earlier in the day, Torgensen described this meeting as an attempted bribe, but when Nelson took the stand, he vehemently denied it. He first became aware of bribing allegations, he claimed, over lunch with Shurtleff, who blithely admitted he tried to catch Nelson in a bribe sting but it didn’t work. On this subject, Nelson reiterated several times in court that he reminded Shurtleff that he was not an attorney and that he was willing to do anything to help his friend, Jenson, so long as it was legal. The defense plans to share text messages with the jury next week that supposedly tell a different story. The trial is glacially creeping forward. Jenson, the state's first witness, testified for two full days, and finally wrapped up Friday morning. Growing frustrated with Jenson's unwillingness to answer questions without convoluted context or clarifying questions of his own, defense attorney Scott Williams shook his head, let out exasperated sighs, and eventually accompanied his questions with grand pantomimic hand gestures. Jenson's testimony on the third day revisited things he said on the stand the day prior. He, like all witnesses so far, were released but could be recalled to testify again at Swallow’s trial, which could stretch on for a month. 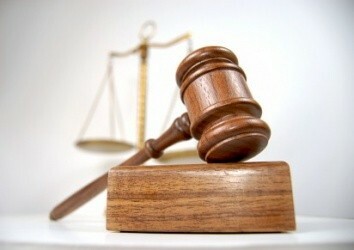 Swallow trial week 2 starts with uncertain focus. Witness had $30 million in assets, while stalling on paying $4.1 million in restitution.